The home office of CPAESS is located in Boulder, Colorado. Our 158 staff are located throughout the United States. See more about our locations. 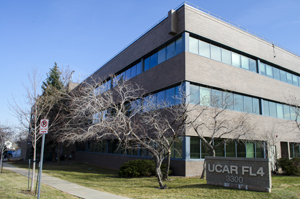 CPAESS is located in UCAR's Foothills Laboratory's cluster of buildings, in building FL4, where most UCAR Community Programs are located. 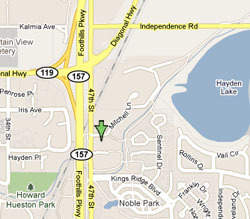 FL4 is on the corner of Mitchell Lane and 47th Street, in the northeastern part of Boulder. FL4 is a short walk from the main reception building, FL2, which is at the end of Mitchell Lane.